Dark spots or black spots on the skin mostly result from the overproduction of ‘melanin’ (a pigment found in our skin). When melanin gets accumulated in a specific area of the skin, it causes hyperpigmentation and a localized patch is formed that looks dark or black in color. There are more than one reasons behind the occurrence of such spots, which include excessive sun exposure, aging, old scars, internal health issues, hormonal imbalance, and so on. Being highly acidic in nature (it remains just below the stomach acid on the pH scale), lemon works as a natural bleaching agent. This natural bleaching property of lemon juice helps in fading the ugly black spots away fast and effectively. Use It: Squeeze out the fresh juice of half a lemon, dip a cotton ball or q-tip into it, and apply the juice directly to the black spots on your face. Let it sit for 20-30 minutes. Wash off with plain water. Be it small dark spots or hyperpigmentation, buttermilk can reduce everything slowly over time. The lactic acid present in the product not only helps in lightening the marks but also exfoliates the skin gently to reveal the fresh layer of skin underneath. Use It: Take a tablespoon of fresh buttermilk, dip a cotton ball into it, and apply onto the spots on your face. Let it sit for half an hour or so. Then, was off with lukewarm water. Just like buttermilk, yogurt also contains lactic acid and hence, is acidic in nature. Using it regularly on your black spots will help you get rid of them quite effectively. Use It: Take a teaspoon of fresh yogurt and massage those affected areas of the skin with it gently. Leave it on for half an hour and then, wash with plain water. Make sure that both your skin and your fingers are clean before you start the process. 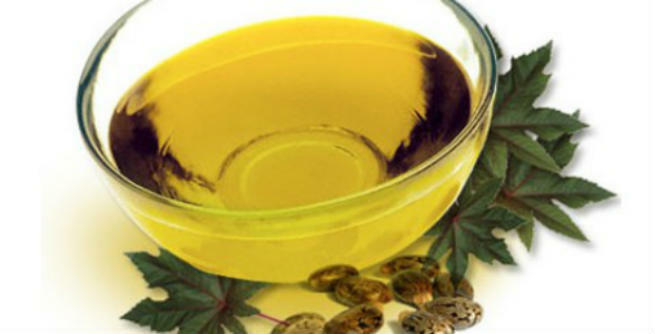 Castor oil comes packed with fatty acids (primarily omega-3 fatty acids). which penetrate the skin and pierce the scar tissue in the affected area to pump it out gradually and promote the growth of healthy tissue. This rids you from pigmentation, blemishes, and dark spots over time. Use It: Take a few drops of pure, organic castor oil and apply it onto the black spots directly. Massage gently with your fingertips until the oil gets absorbed into the skin completely. Wash off after an hour and repeat twice a day. Sandalwood is rich in a number of phytonutrients as well as antioxidants, which not only keeps the skin healthy but also eliminates pesky marks and pigmentation from them. The antimicrobial properties of sandalwood powder help in repairing the scar tissues too. Use It: Include sandalwood powder in your regular face packs and be consistent with your weekly skincare routine. Otherwise, prepare a mix by combining it with glycerin and milk. Massaging the troubled parts of the skin with this mixture daily will help you immensely. The juice extracted from potatoes contain a certain enzyme named ‘catecholase’, which turns the ingredient into a natural bleaching agent. Hence, it can lighten dark spots, marks, or blemishes on your face significantly. Use It: Place thin and freshly cut potato slices on your black spots for half an hour and repeat it 2-3 times daily. You can also extract nearly 1 tablespoon of juice from a raw potato and apply it to the troubled areas of your skin by using a cotton ball. Let it dry for half an hour and then, rinse off with water. Being slightly acidic in nature, onion has good bleaching properties. It also removes the layer of dead cells from the surface of the skin, which stimulates the process of dark spot removal to a great extent. Use It: Either dab some freshly extracted onion juice on your facial black spots or simply rub those areas with a few onion slices. Once it dries, wash off thoroughly. Tomato is a highly acidic vegetable that comes with great bleaching properties. So, it can lighten the dark spots on our face quite effectively. Use It: Strain the juice to discard the seeds and apply it to the affected parts of your skin regularly. Keep it for 30 minutes before washing off with plain water. Aloe vera is considered as a ‘wonder product’ when it comes to lightning the skin as it contains certain elements effective in clearing away dark/brown spots and blemishes. 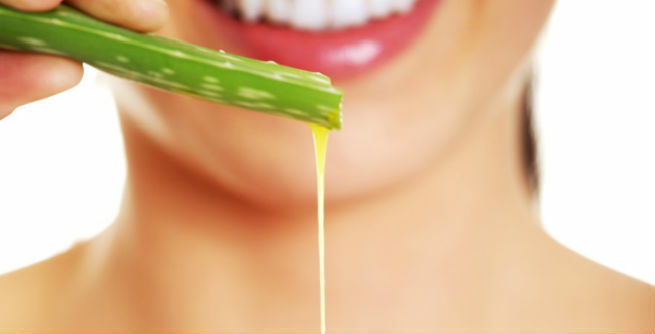 Use It: Get some fresh aloe juice and dab it onto your facial dark spots. You can also massage them gently with some fresh aloe gel. Practice it 2-3 times every day. The ‘curcumin’ present in turmeric is known to inhibit the pigmentation of the skin, which contributes to its amazing skin lightening properties. Use It: Add turmeric extract or powder in your regular face pack or mask and apply it regularly focusing on the troubled parts of the skin. The result will be visible in a few weeks only. The anti-inflammatory and antiseptic properties of almond are very helpful in treating scars and blemishes. Hence, regular use of this ingredient can fade those annoying black spots away over time. Use It: Prepare a paste by blending 1-2 soaked almonds, raw milk, and pure honey, and apply it on your black spots. Let it sit for 25-30 minutes and then, rinse with water. Papaya contains the enzyme ‘papain‘, which makes the fruit a natural bleaching ingredient effective on pigmentation, blemishes, and signs of aging, thereby giving us a spotless skin. Use It: Mash the pulp of a ripe papaya and massage the affected areas of the skin with it for a good 5 minutes. After 15 minutes, wash off with tepid water. The anti-inflammatory properties of rose water combined with astringent properties help in lightening up those ugly marks. Use It: Include rose water in your face packs or apply it directly to the skin. However, you need to use it daily in either way. 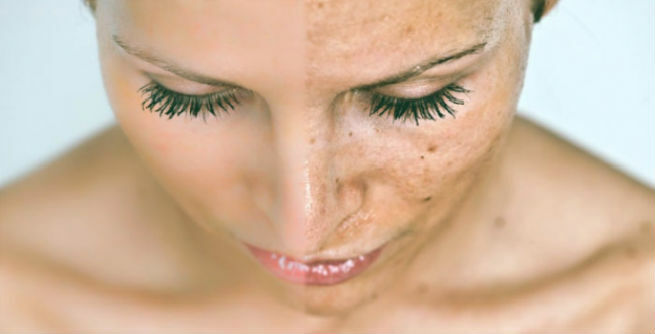 In rare cases, black spots or brown spots can turn out to be carcinogenic. So, if these home remedies are not helping you out even after a few months, visit your physician to get them checked medically.